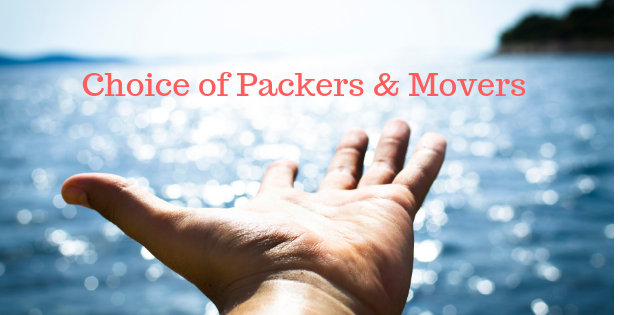 Here comes the major decision to be taken in a world full of choices, which Packers & Movers to choose? It may not be an easy task as the competition in every field is enormous. Moreover, if this is your first time to come across this service then the process is much more entangled one. Not to worry, this article will aid you to take the right decision of picking up the appropriate Packers & Movers. We, humans, are very concern with our belongings and when it comes to the shifting of our place we are always eager to take that extra mile to choose the best option. Segregation of goods– Breakable and unbreakable goods cannot be packed in similar packing as this may be dangerous and cause damage. Breakable items must be handled with care. Manpower– Though this is an immense labor required sector the employed persons should be capable of handling the goods irrespective of weight. Shifting timings– The vendor should be able to do the loading and unloading in customer’s flexible time as people these days are quite busy with their lives. Insurance– The vendor should provide insurance for the damaged items after their loading and unloading as they are mere items for a vendor but it is the memory for the customer. Vehicle type– It pays a vital role in the process of shifting as the vehicle should be chosen as per the things needed to be shifted. Moreover, the vehicle discussion should be done with the customer prior to the commencement of the shifting process. Additional service– There are high chances for the customer to inform you the things but as a vendor, they must be ready to pack those extra things as well rather than denying to serve. Cost efficient – The service should be cost saver package for the customers and should be determined on the basis of distance, a number of things and also the vehicle used. Tips– The vendors can give some extra tips such as separation of liquid items and breakable items prior to the shifting process, which will reduce the time consumption. Adaptability– There are chances of occurrence of rain during the shifting process which should be handled efficiently by the vendors by covering the things in a waterproof cover. As a customer, if you are taking the above-mentioned steps into count during your relocation it might be helpful for you. Moreover, your things which are a part of your sweet memories will be avoided from damage. And you will also be having a safe and secure shifting.